We have wanted to do a series of blog posts where we explain great places to use flashlights. When putting together a survival kit, there are several different things to look at, but you can have a good survival kit without lighting. Today, we are discussing lights that you would want to put into a survival kit. First, lets take a look at a flashlight that provides more than just lighting. It’s called the Eton Microlink FR160 (comes in black, red, and green). 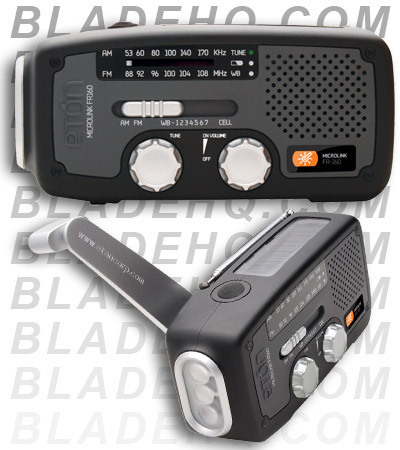 Not only is this a great LED source, but it is also an AM/FM radio and USB cell phone charger. This piece is powered by solar or dynamo, both of which charge an internal NI-MH (nickel-metal hydride) battery. Also, it features all 7 NOAA weatherband channels. This is a must have if you can’t seem to find enough room in your kit for everything. If you are looking for something with a bit more of a kick and a more powerful light, I would definitely consider looking at the Fenix TK70 XM-L (2200 lumens). This flashlight is not small or light, but it sure is bright. If you don’t know what lumens are, an easy way to look at it is comparing them to birthday candles. If you have 100 lumens, it provides about as much light as 100 birthday candles when 1′ away from your person. If you have 500 lumens, that’s 500 candles. So yeah… this flashlight would be like standing 1′ away from 2,200 candles. If you are looking for a “blinding” light, look no further. This beam reaches up to 720 meters (2362 feet)! 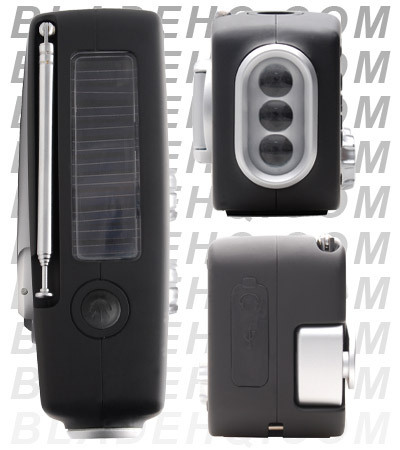 Not only does this light feature 4 different output modes, it also has 2 different flashing modes (strobe and SOS). Also, another awesome feature of this piece is its waterproofing. It comes with IPX-8 waterproofing. That means it can go up to 6.56 feet underwater. 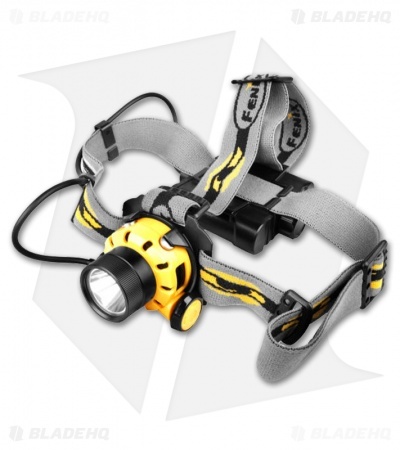 Last, if you are looking for something that leaves your hands free, then a headlamp is for you. My personal favorite headlamp is the Fenix HP11 Headlamp. The HP11 is a total high performance headlamp that is more than willing to keep up with all of your outdoor activities. It has a generous output of 277 lumens. Also, it has the Cree XP-G LED in it, which has a lifespan of roughly 50,000 hours. My favorite thing about this lamp is that the light and the battery are separated. The light being on the front and the battery being on the back so you don’t have to strap it to your head as hard. It is a very comfortable light to carry. When putting together, or updating you kit, keep this in mind and I hope it will at least point you in the right direction. So this time of year we start gearing up for the holidays and one of the things that we think make great gifts are Fenix Flashlights. Fenix has a huge selection of flashlights and there’s literally something for everyone. The tiny E01 series for a car or purse, Headlamps for the adventurer (and there are all kinds of “adventurers” : the brave spelunker, the fearless mountain explorer or the foolhardy hero who decides to “fix” that fuel pump themselves) and tactical flashlights for the lawman who has everything. In short, flashlights make great gifts. I never really appreciated how good good flashlights can be. I grew up with the incandescent garbage that you now find in dollar stores (and I’m not trying to be insensitive, but once you’ve had a good flashlight you can’t go back and a good flashlight doesn’t have to cost a fortune). One of my very first nice lights was actually a Surefire flashlight. I think it was actually the first LED flashlight that I ever owned. I loved that light, but I confess that it was a little bulky. It served me well for two years before finally succumbing to the brutality of my children. I replaced it with the compact Fenix PD31. I love that light and used it for everything. However, after a repair on a friend’s car it drove off into the night (with his car) and was lost. I’m really eyeing the new PD30 now. But I digress… My point was that a really good flashlight is an essential tool for just about everyone. Even if you think you don’t need a good flashlight you’d find yourself wondering how you ever lived without one. 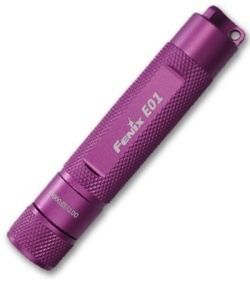 The Fenix E01 is a super compact light comes in a ton of great colors. It’s a little less than 3″ and it’s under $13.00. It’s small size makes it ideal to keep just about anywhere (pants, purse, car, emergency kit, etc). At 10 lumens it’s not super bright, but it’s better than being in the dark! 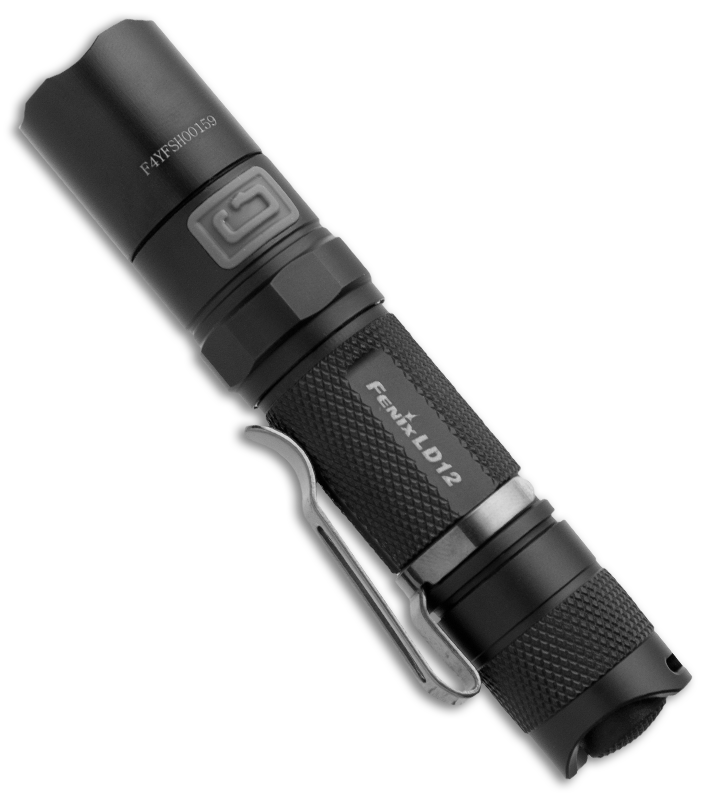 The Fenix PD30 series is a great entry level LED flashlight. Adjustable between 10 lumens and over 200 lumens this light offers a lot of options. At a little over 4.5″ the PD30 series is a still small enough to conveniently carry and makes a great toolbox or car kit accessory. The PD30 is right around $45. If you’re looking for something bigger (and a lot brighter) then the Fenix TK30 might be what you need. 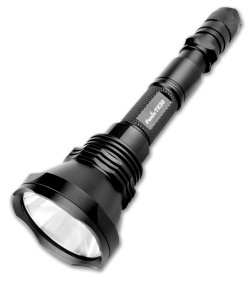 With an output of up to 630 lumens and a beam distance of 225 meters the TK30 is built for serious lighting. The TK30 has so many operation modes it’s mind blowing. $130. 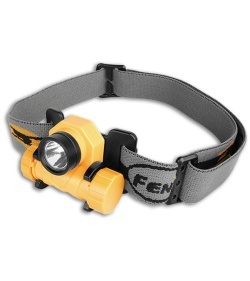 Finally if you need an inexpensive headlamp then the Fenix HL21 should be just the thing. At only $29 it’s a steal. Providing up to 90 lumens and a 50+ hour runtime (lower lumen setting) this hands free light is both sturdy and practical. So there you have it! A couple of fun gift ideas that should work for just about anyone. Men, women, even kids will all appreciate the excellent portable lighting that Fenix provides. Happy shopping. 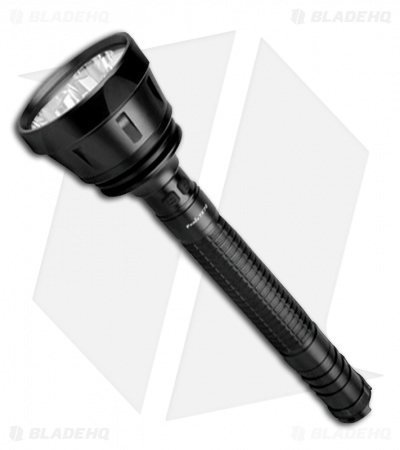 Resources: Fenix Flashlights, Surefire Flashlights. Posted October 31, 2011 (Happy Halloween).